Judge me if you will, but I have finally given in to the pressure of Owen and Cora. I’ve held up for quite a while, though, and for that I’m proud. 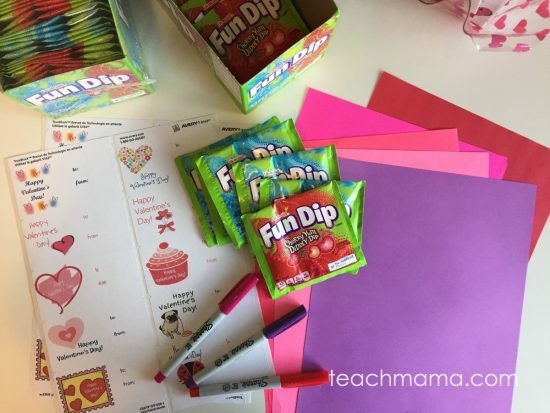 Every, single year when I bragged about creating fun, super-cool candy-free Valentines for the kids to make for their classmates, they sighed. Puh-leaaaase, Mom. 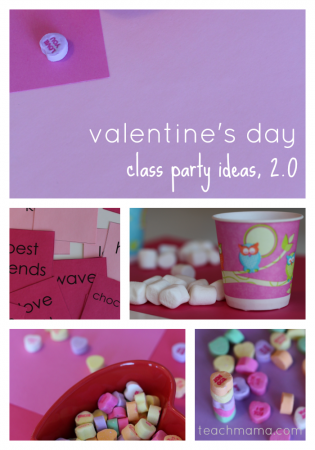 We just want to give our friends candy Valentines. That’s all kids want. 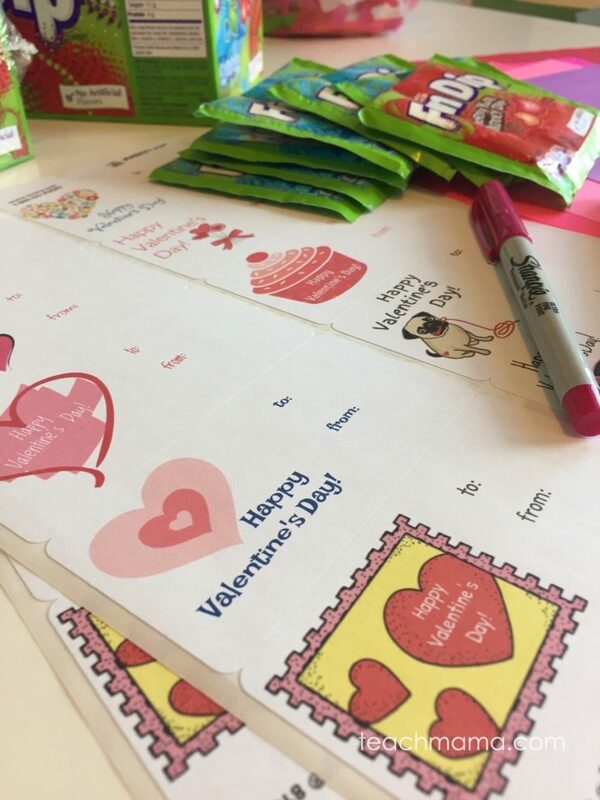 Can we just get the Valentines from the store that everyone loves? The ones that have a lollipop or Nerds in them? 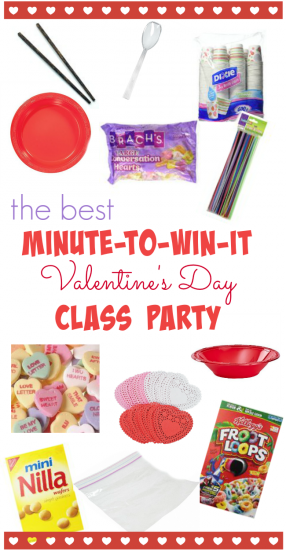 And every, single year, I’ve proudly said, Candy in Valentines!? NO way, no how. No kid needs more sugar in his life. But something about the way this year has been going, something about this year being Owen’s last year (gasp!) 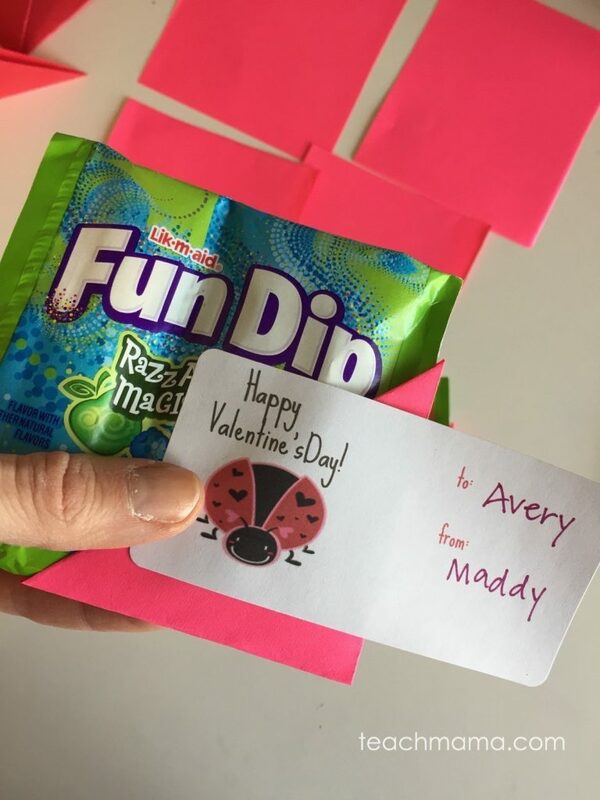 in elementary school, something about the look on his little face when he told me he just wanted to do Fun Dip Valentines, I caved. 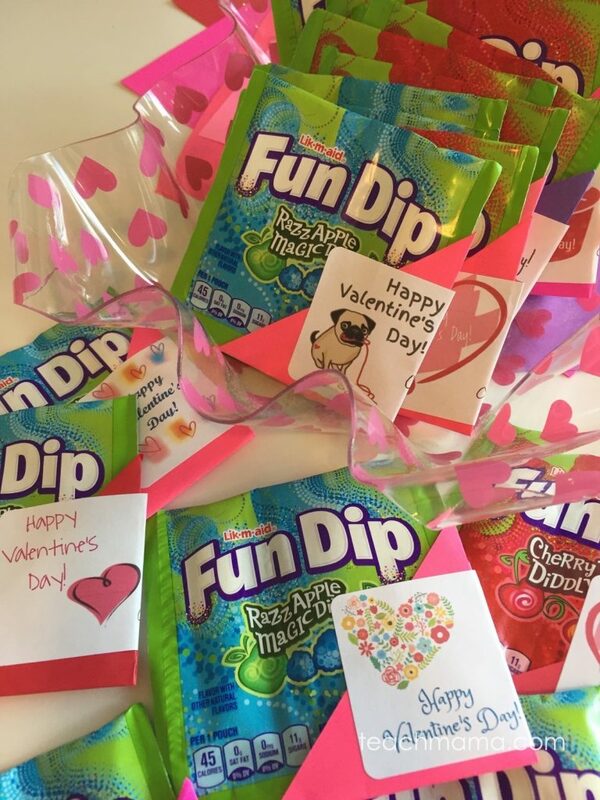 So here they are, my friend: Fun Dip Valentines. In all their glorious sweet and empty calories. Complete with the infamous white stick o’ sugar that kids love to eat at the end. For all parents to tsk and roll their eyes when they see them. 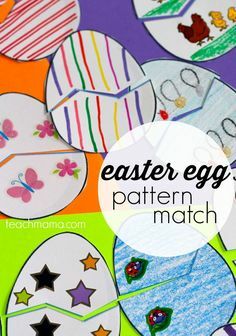 Here’s what you need to make these babies. Order them on Amazon Prime , and they’ll arrive at your doorstep in no time. 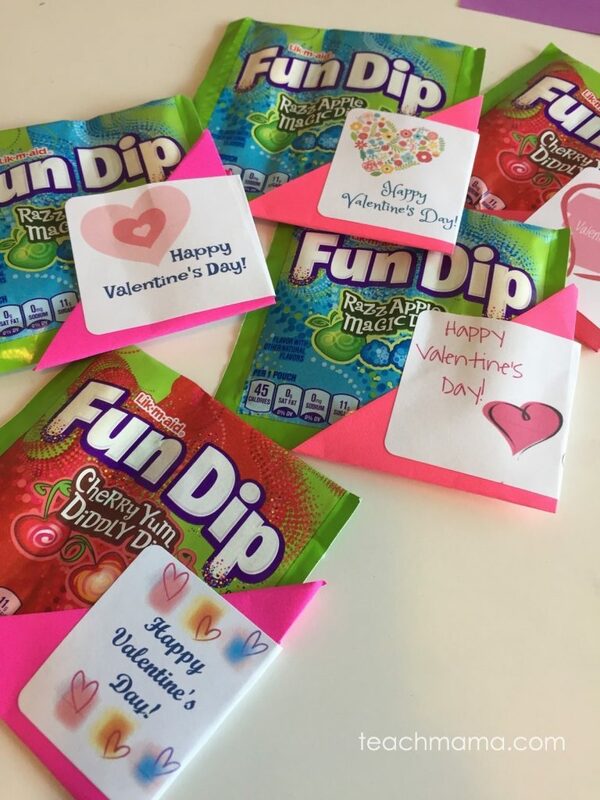 Fun Dip: I ordered Fun Dip small size in bulk from Amazon. 24-count box for about $10. I thought that was pretty reasonable. Avery Shipping Labels 5163: You can grab my free template below! 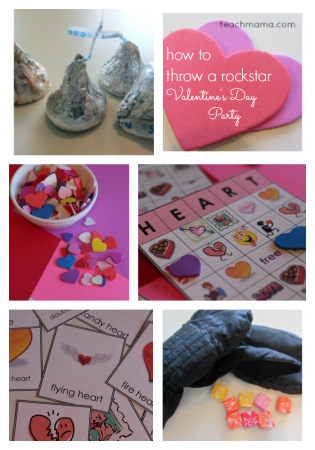 Then gather your supplies, and you’ll be finished with your Valentines in no time. I know you’re busy. Really, I do. 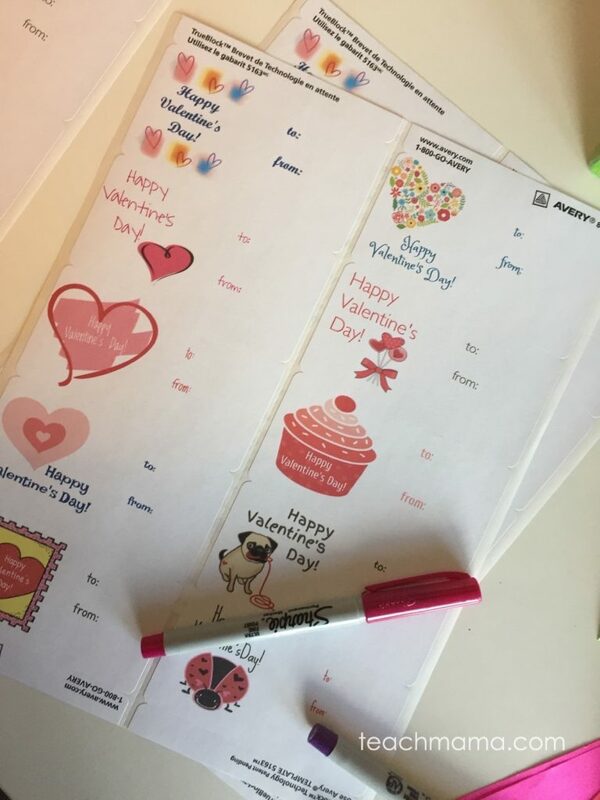 Print out the Valentine’s Day labels. 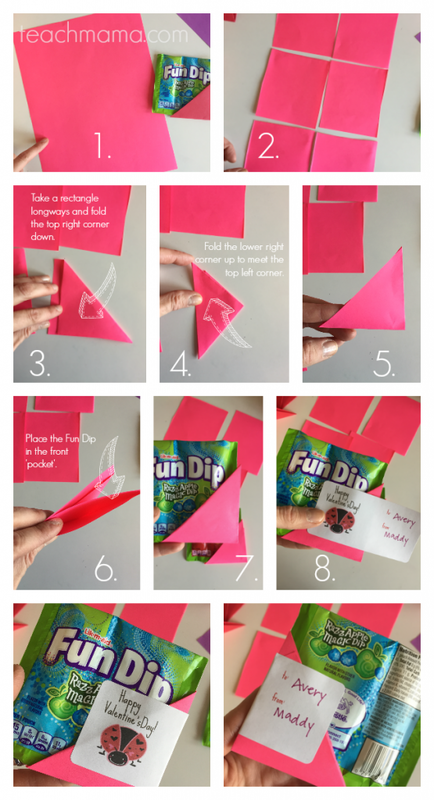 Cut and fold the paper according to the directions below and place the paper onto the corner of the Fun Dip. 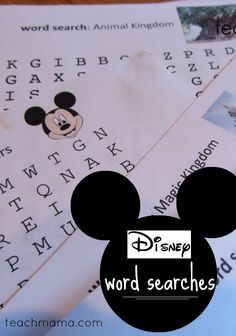 Have your child sign the labels. 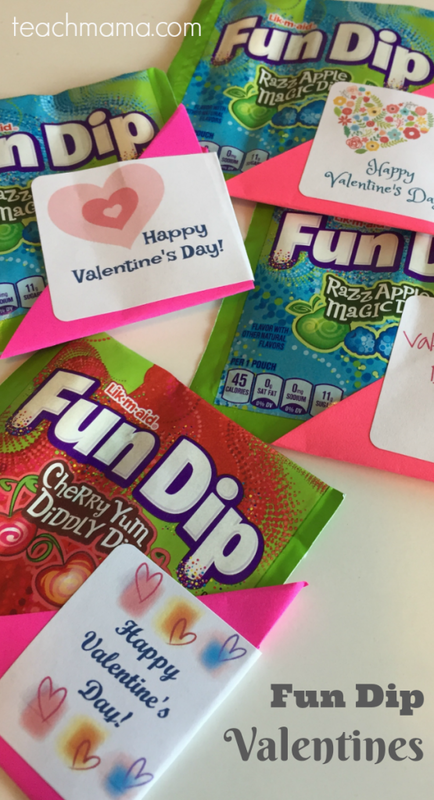 Stick ’em on the Fun Dip! 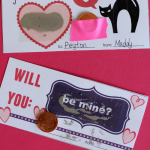 One thing I won’t cave on is having my kids write their Valentines out to a classmate and sign their own names. 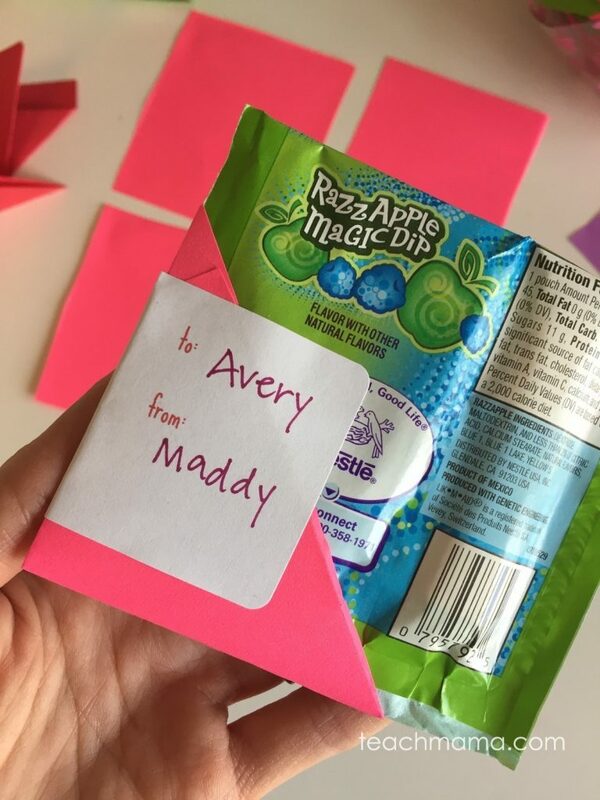 Kids are writing a card to a friend. The least they can do is write the name of that person, right? And you better believe that they should sign their own names. 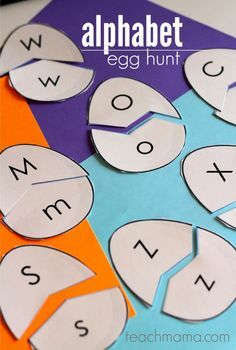 No printing the names of your kids, parents! Put your kids to work! Pen to paper. First name is fine for the little guys, but first and last name for the bigger guys. If they complain about signing their name 25 times, so what? So Owen and Cora are happy with these. They’re totally thrilled. They feel like they hit the lottery. And honestly, that’s fine with me. 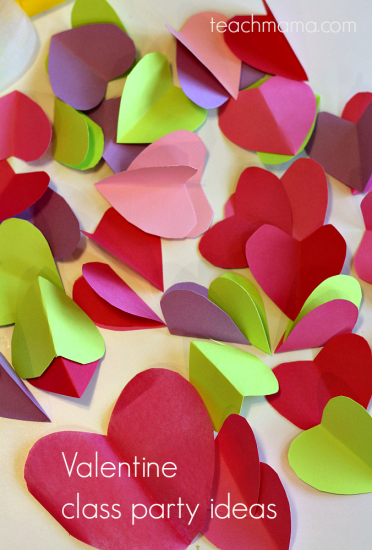 Since Owen’s in fifth grade now, this will be his last Valentine’s card exchange in school. I’m game for him going out big.